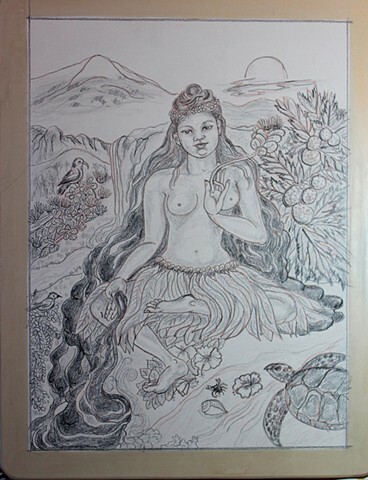 A peaceful depiction of Pele, the Hawaiian Volcano Goddess. In legend she can appear as a beautiful maiden or an old hag. I have a honu, sea turtle, and a'ama, crab in attendance as little song birds look on. Next step is to process the stone and then, inking and printing.